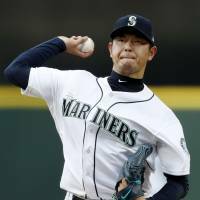 SEATTLE - The Seattle Mariners’ Hisashi Iwakuma will leave the team at the end of this season in order to continue his playing career, the American League club announced Tuesday. The 37-year-old former All-Star pitcher has been seeking a return to the majors since undergoing shoulder surgery last September, but decided to turn elsewhere after being offered a coaching role with the Mariners. “I was hoping to make my way back on the major league (roster) but I was told it won’t happen this season. 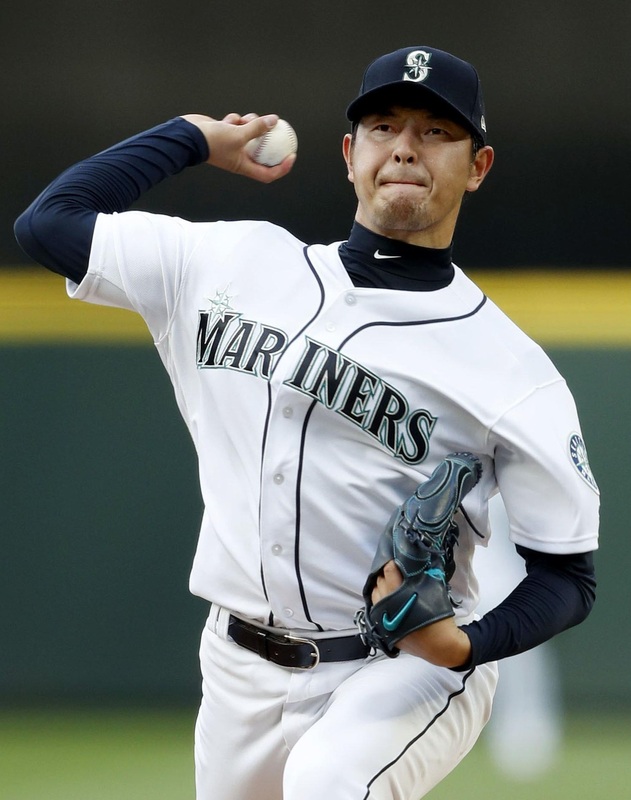 The decision was that I don’t have enough outings in the minors and I’m not ready for the call-up,” Iwakuma said. “I was asked to support the team as a coach, not player, in 2019. But I’ve finally regained my form and feel like I can pitch in a game. With Japan being a possible destination, I want look for ways to continue playing. I’d like to think I’m still capable,” he said. Seattle manager Scott Servais had said Iwakuma would not pitch for the Mariners in the final few weeks of the regular season. “I think he saw enough out of his last outing or two that he wants to continue to play, which is a good thing,” Servais said. Iwakuma, who has spent all six years of his major league career with the Mariners, has been sidelined since May of last year as he dealt with shoulder issues. The 2017 season, in which he only made six starts, was his first in the majors without posting a win. Iwakuma returned to the Mariners on a minor league deal that allows him to rehab and work his way back without taking up a roster spot. Iwakuma has a 63-39 record with a 3.42 ERA over 150 games in the majors. He tossed a no-hitter against the Baltimore Orioles in August 2015, and was a Cy Young Award candidate in 2013. Iwakuma said the long rehab process had been a valuable experience in his career, but he still feels “sadness and regret” about ending his time with the Mariners. Before he made the jump overseas, Iwakuma had a standout career with the Kintetsu Buffaloes (now Orix Buffaloes) and Tohoku Rakuten Golden Eagles in Nippon Professional Baseball, where he went 107-69 with a 3.25 ERA in 226 games between 2001 and 2011. Iwakuma said the long rehab process has been a valuable experience in his career, but he still feels “sadness and regret” about the way he will end his time with the Mariners. Former Seattle teammate Ichiro Suzuki, now a special assistant to the club’s chairman, wished Iwakuma well as he pursues opportunities in Japan but also said he is sad to see him leave. “I wish we could’ve played together one last time. This is an unexpected goodbye,” Ichiro said.